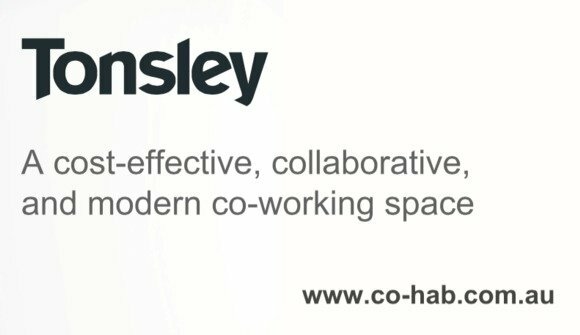 Co-HAB is an Adelaide based not-for-profit company providing coworking space for people from diverse backgrounds and disciplines. Members have the opportunity to operate their businesses, connect and collaborate. The emphasis at Co-HAB is on collaboration, the fuel for invention and entrepreneurial activities. Spacious, well resourced, inspiring. 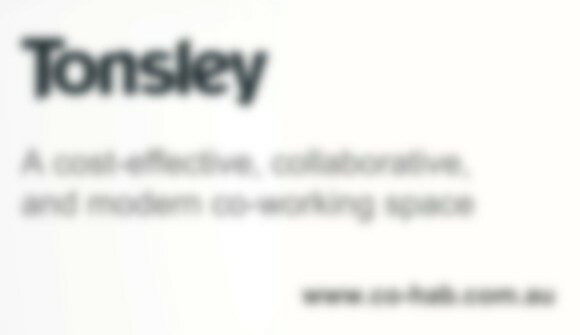 The sole purpose of its existence is to facilitate innovation and collaboration and to provide Adelaide’s finest with unique facilities to host events, functions, meetings and more. In addition, Co-HAB offers a unique opportunity for members to connect and collaborate with others. Co-HAB is not just a renting facility where workers hire desks, offices, meeting rooms, a boardroom or function room complemented by free Wi-Fi, free onsite parking and free refreshments. 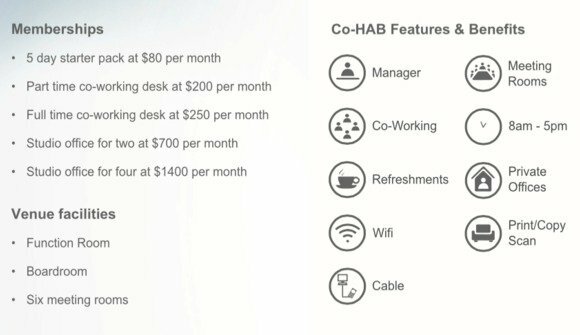 Co-HAB is more importantly a place where independent entrepreneurs can live their daily routines side-by-side with professional peers and like-minded business people. The space will be utilised by different sorts of professionals, working in various degrees of specialisation. Co-HAB will positively affect the nature of a members’ job and the relevance of their social relations across their own professional networks.